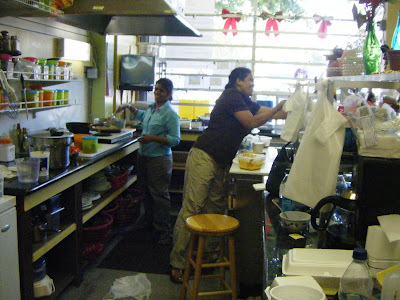 Thamilarasi’s sister, Anila Swamy, has owned the place for 14 years and the family [including their father, Sam Arumugam — whom I orgininally and mistakenly noted here was the owner] has only recently began preparing and selling the foods of their native country: dishes we don’t see as much of here on the west side of the lake as we do on the Eastside. 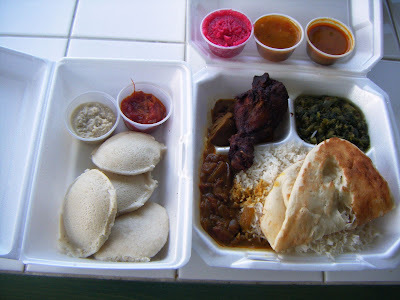 This is food that may be familiar to those of us crazy about Sri Lankan cuisine (count me in), but not so much to those who think of “Indian food” only in terms tandoori meats, saag paneer and butter chicken. 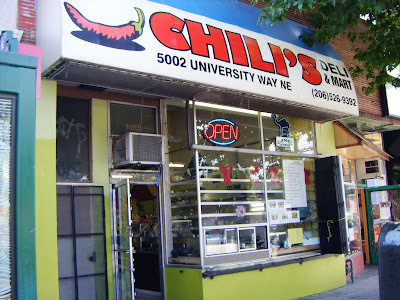 At Chili’s, you’ll find such South Indian staples as idli: soaked and ground rice and dal, blended into a lightly fermented batter, steamed into cakes and commonly served as breakfast fare. 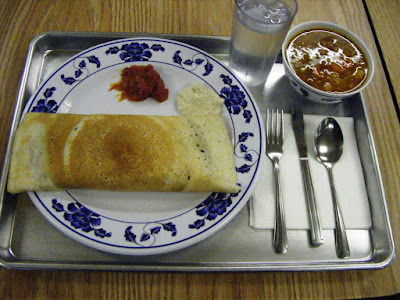 And Tom’s favorite, Masala dosai: large crepes, made to order, filled with a gently spiced, turmeric-tinged saute of onion and cooked potato — as seen in my photo, above.